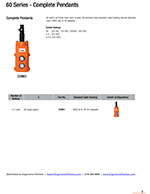 Ideal for industrial machines, cranes and more. Conductix has ergonomically designed push button pendants since the early 1990's. They offer a large selection of standard crane pendant configurations to meet the needs of industrial users. These modular push button units are assembled from stocked components, keeping the product competitively priced and ensuring quick deliveries. 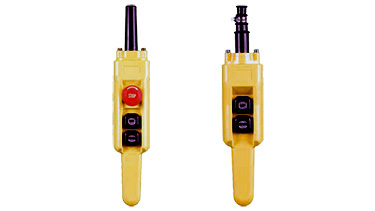 The experienced sales people at Ergonomic Partners are experts in the application of push button crane pendants for all kinds of industrial applications. 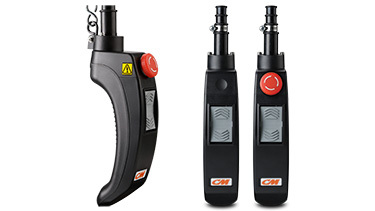 The 80 Series, 60 Series and CM Rocket are available in an ergonomic pistol grip style ideal for simple hoist applications. 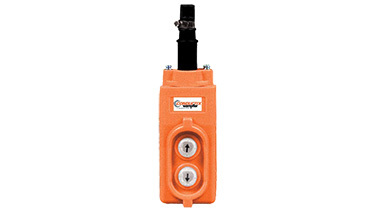 The Conductix-Wampfler 80 Series Pistol Grip push button stations are available with 1, 2, or 3 speed buttons. 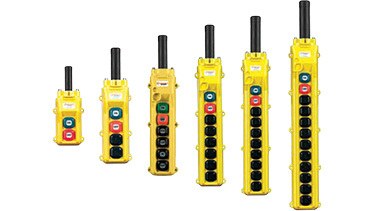 Features include: High impact, yellow ABS enclosure rated NEMA 4 (IP65), multi-diameter cable bushing inlet, accommodate either internal or external strain relief cable. The 20 Series Pendant is a slim compact design suited for one-hand operation. 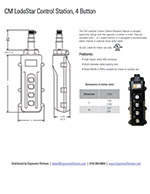 Insulated for operator safety and designed for direct control of single phase electric motors up to 1 HP @ 120 VAC or 2 HP @ 230VAC. 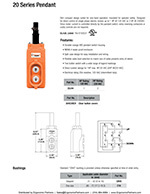 Since motor current is controlled directly by the pendant switch, extra reversing contactors or costly controls are not required. 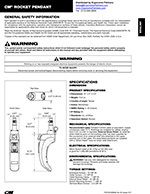 UL/cUL Listed: File E193531. 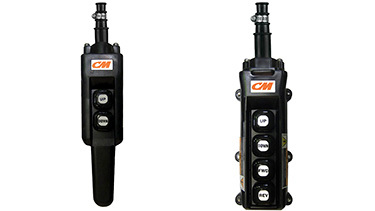 The CM Rocket is ergonomically designed with a ribbed curved grip enclosure and the unique rocker switch gives the operator ultimate load control while reducing thumb strain and fatigue. 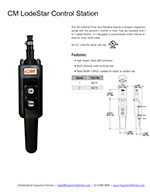 Features include: NEMA 4/4X (IP65) UL Listed and CSA Approved, internal or external strain relief, available with single or two speed rocker switches and optional e-stop. 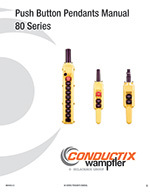 Conductix-Wampfler 80 Series crane pendants are available in several different pre-configured set-ups. With dozens of switch options, such as pilot lights, selector switches, key switches, emergency mushroom stop buttons, potentiometers, and alternating/toggle switches. 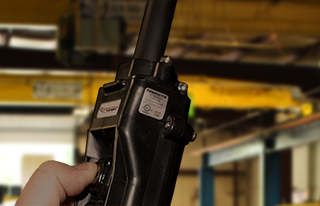 Let our sales team configure a custom push button control for your industrial equipment. The economical 60 Series push button stations are configured for two or four buttons. 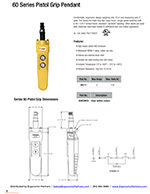 Ergonomic Partners can arrange for your pendant to be pre-wired. Let our experienced staff help you with your pendant needs. You can e-mail us or call us at (314) 884-8884. 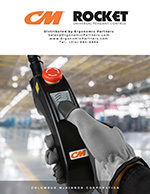 Ergonomic Partners provides CM and Conductix Crane Pendants; serving clients from coast to coast, Canada, Mexico and especially focused in the states of Missouri, Illinois, Indiana, Kansas, Arkansas, Mississippi, Nebraska, Tennessee, Kentucky, Iowa, and Oklahoma.